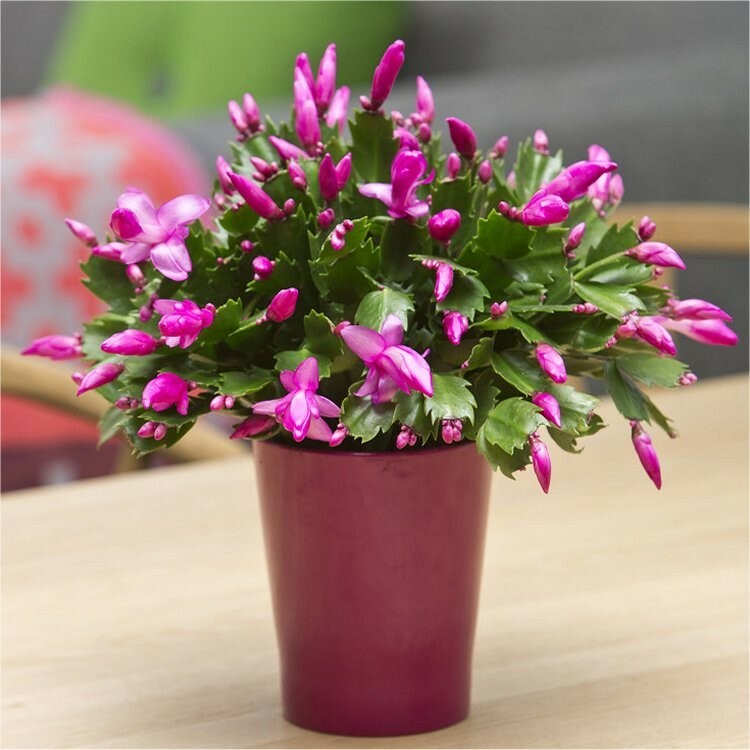 When in full bloom, the Christmas cactus (Schlumbergera) is one of the most eye-catching flowering house plants you can get. It will bring brightness to your home, as the name suggests throughout the Christmas period and winter. Our collection contains a full array of colours, and we will pick a beautiful plant covered in buds for you to enjoy in a prominent position in the home. They do best in a cool room where the temperature remains fairly steady, and they'll flower for up to 12 week in a well lit bright position. Supplied in bud and bursting in to bloom in an approx. 9cm pot the colours come in various shades. Christmas cactus (Schlumbergera) are one of the few plants that flowers naturally in winter around December - hence the name Christmas Cactus. With normal care these Christmas cactus plants will produce blooms year after year.